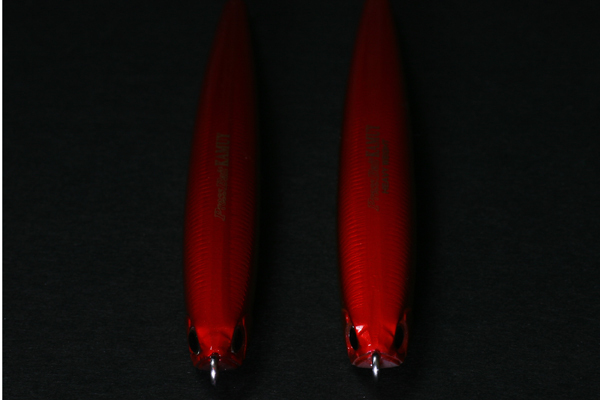 This is the heavy weighted model of the Press-bait Kamuy, which is immensely supported by Japanese Char (sea trout) anglers. We have widened its body by 0.5mm giving it an extra 3g in weight. 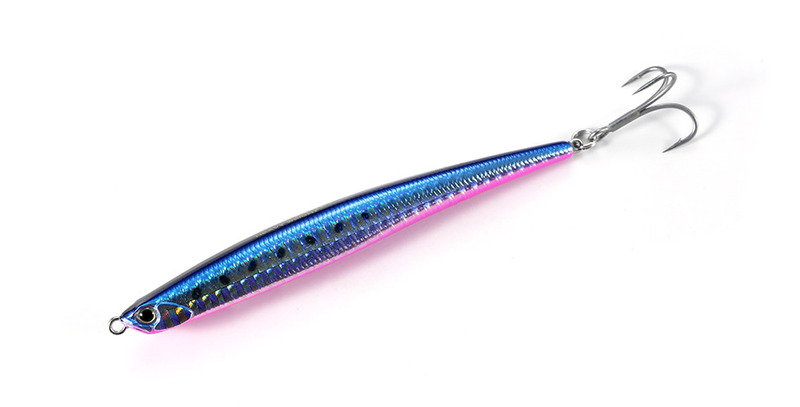 Unlike simply adding weight in the same body resulting in the reduction of the lures action, we have widened its body allowing it to face more water resistance, which in turn improves the action response. 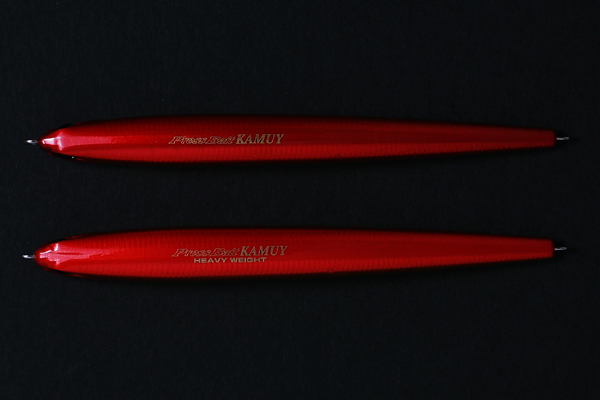 We have received feedback from our users complimenting the ease to cast for our other Kamuy models. Well, we have improved this further making possible for beginners to cast farther without any stress! The original is on top and the new heavy weight model is below. We have widened its body by 0.5mm or approx. 5% of its body mass. The original is on the left and the new heavy weight model is on the right. We have widened its body allowing it to face more water resistance, which improves the action response.